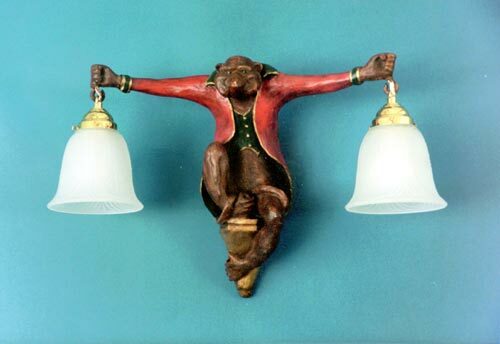 Description: Original monkey sitting, one leg up including glass shades. Brass fixture can be antiqued. Most of our other sconces can have "down light" fixture shown. Including flying monkey and fox. Resin &steel. Shades extra.